Wetlands are defined as transitional between terrestrial and aquatic eco-systems where the water table is usually at or near the surface or the land is covered by shallow water . Wetlands have been categorized both as biomes and ecosystems. A patch of land that develops pools of water after a rain storm would not be considered a “wetland” though the land is wet. Wetlands have unique characteristics: they are generally distinguished from other water bodies or landforms based on their water level and on the types of plants that thrive within them. Specifically, wetlands are characterized as having a water table that stands at or near the land surface for a long enough season each year to support aquatic plants. Put simply, wetlands are lands made up of hydric soil. An ecotone is a transition area between two adjacent but different patches of landscape, such as forest and grassland. It may be narrow or wide, and it may be local (the zone between a field and forest) or regional (the transition between forest and grassland ecosystems).An ecotone may appear on the ground as a gradual blending of the two communities across a broad area, or it may manifest itself as a sharp boundary line. The word ecotone was coined from a combination of eco(logy) plus -tone, from the Greek tonos or tension – in other words, a place where ecologies are in tension. Wetlands are under severe threat from the real estate lobby and industry as they are easy to lease out, said Jairam Ramesh, Environment Minister, Government of India. Ramesh was at the Space Application Centre (SAC) at the Indian Space Research Organisation (ISRO) campus in Ahmedabad to deliver an address on ‘National Wetland Inventory and Assessment Project’ (NWIA). “Wetlands have ecological and social value. But a large area of wetlands in India is under threat from real estate lobby and industries such as highways, cement plants and power plants. Now, with a database on the inventory of wetlands being available with the help from the SAC, the Centre can take action on its own to designate important wetlands in the country based on the satellite images,” added Ramesh. The NWIA project findings noted that the total wetlands area in the country is estimated at 15.26 million hectares, 4.63 per cent of the total geographic area of the country. 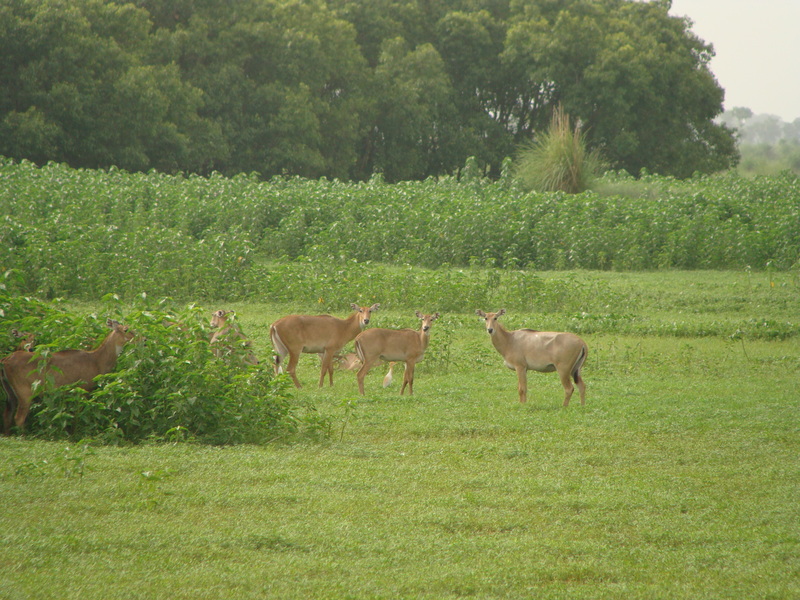 Of this, Gujarat holds the largest area under wetland with over 3.47 million hectares of area, about 18 per cent of the state’s total geographic area. Andhra Pradesh, Uttar Pradesh, West Bengal and Maharashtra are some of the other states having more than one million hectares of area under wetlands. A wetland is an area of land whose soil is saturated with moisture either permanently or seasonally. Such areas may also be covered partially or completely by shallow pools of water.Wetlands include swamps, marshes, and bogs, among others. The water found in wetlands can be saltwater, freshwater, or brackish. The world’s largest wetland is the Pantanal which straddles Brazil, Bolivia and Paraguay in South America. Wetlands are considered the most biologically diverse of all ecosystems. Plant life found in wetlands includes mangrove, water lilies, cattails, sedges, tamarack, black spruce, cypress, gum, and many others. Animal life includes many different amphibians, reptiles, birds, insects, and mammals. In many locations, such as the United Kingdom, Iraq, South Africa and the United States, wetlands are the subject of conservation efforts and Biodiversity Action Plans. The Sheikha Lake in the Aligarh District of Uttar Pradesh is a perennial lake alongside an irrigation canal that is surrounded by farmland on all sides. Every year during winters the lake is thronged by thousands of ducks, geese, terns and waders traversing from wide ranges. It is situated at the distance of 17 kilometers from Aligarh City. This entry was posted in Ecosystem, opinions. Bookmark the permalink.